Who remembers this moment from 1992? 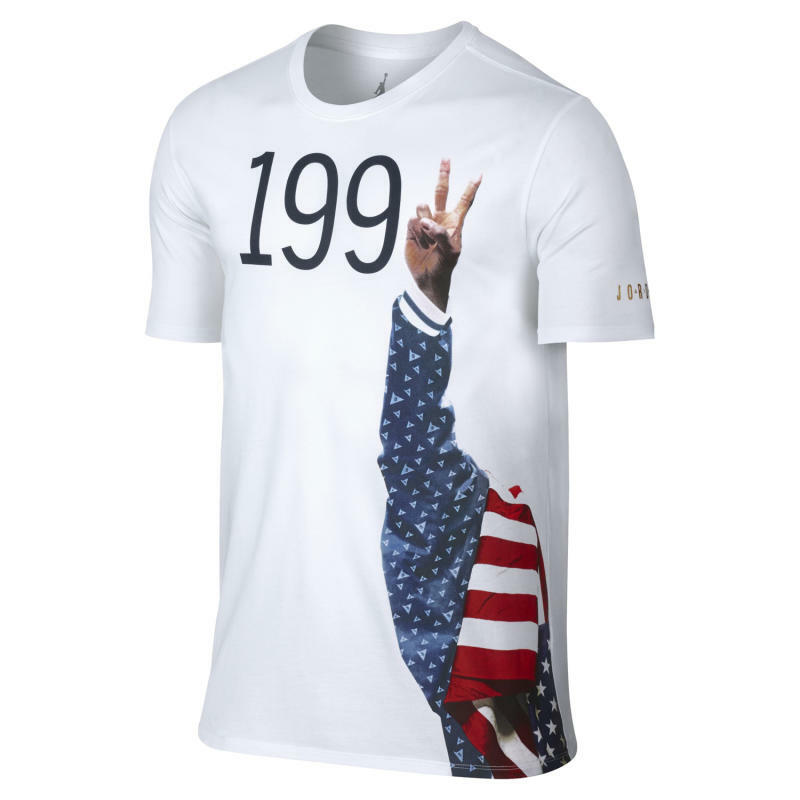 Amidst the many Olympic-themed sportswear offerings to release in the coming months will be these shirts from Jordan Brand, which feature Michael Jordan's disembodied arm as pulled from a photo of him at the Barcelona Olympics in 1992. Jordan's clothing in the photos has become something of brand war lore. Reebok produced the official award ceremony gear for the '92 Olympics, so Jordan was forced to wear the jacket of the rival brand. He cleverly avoided showing the Reebok logo on the chest, zipping his jacket down to obscure it and draping an American flag over his shoulder to make sure the mark couldn't be seen. It's unlikely that this year's release of the shirt is intended as a direct shot at Reebok, but the moment that it references was a big one for the shoe wars of the early '90s. On the shirt, the stars on the original Reebok jacket are replaced with badges in the shape of the one found on the Jordan 7, which Jordan wore during his time with the team that summer. These Jordan shirts should release in the next month or two.